The Pyroelectric infrared motion sensor can detect infrared signals from a moving person or moving animal, and output switching signals. It can be applied to a variety of occasions to detect the movement of human body. Conventional pyroelectric infrared sensors are much more bigger, with complex circuit and lower reliability. 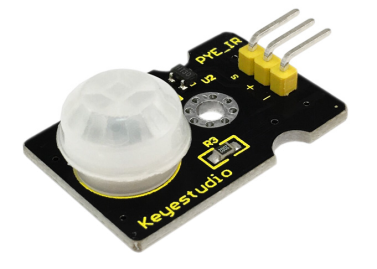 Now we launch this new pyroelectric infrared motion sensor, specially designed for Arduino. This sensor integrates an integrated digital pyroelectric infrared sensor, and the connection pins. It features higher reliability, lower power consumption and simpler peripheral circuit. 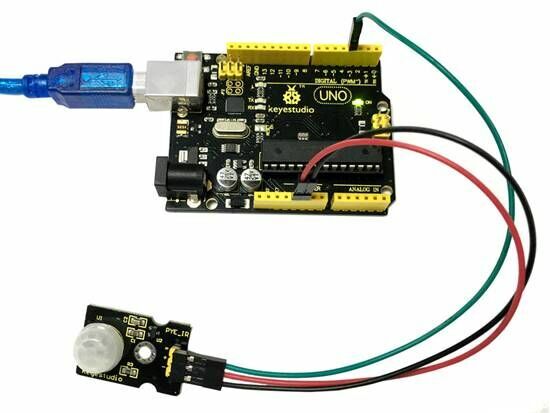 Connect the S pin of module to Digital 3 of UNO board, connect the negative pin to GND port, positive pin to 5V port. 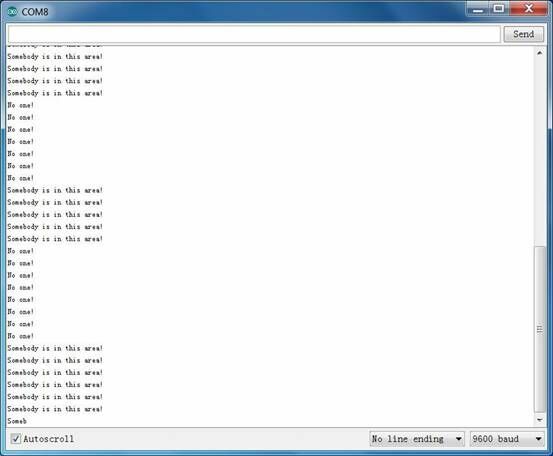 Below is an example code, you can upload it to Arduino IDE. 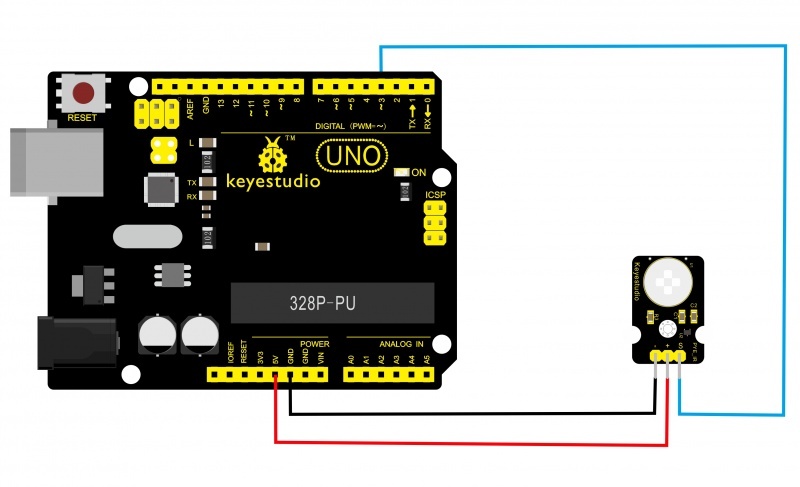 If no movement, D13 indicator on UNO board not lights, and "No one!" is displayed on the serial monitor.